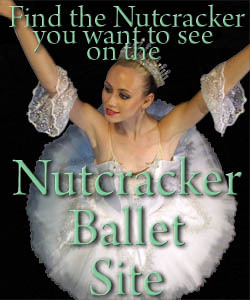 Kick off the holidays with the Central Florida Ballet's 17th Anniversary Nutcracker production! Taking a hint from local theme parks, Central Florida Ballet merged the Nutcracker fairytale with a touch of Cirque and a glimmer of pyrotechnics creating an unforgettable experience. CFB's production was recognized as 'one of the top five productions in the nation' by CNN and has become known to many as the "pyrotechnic Nutcracker" thanks to it's coverage in USA Today. National coverage has also been provided by ABC News, Wall Street Journal, and the Southeast Tourism Society. The Nutcracker is a classic holiday tradition performed all over the world. The story is based on a fairytale in which the Nutcracker doll comes to life as an enchanted prince who saves a pretty young maiden named Maria from distress. Prince Nikita then takes her through a magical journey to his kingdom, The Land of Sweets, where they are greeted by the Sugar Plum Fairy and her Cavalier. The Prince tells them about their daring battle with the army of mice and she rewards them with a celebration of dances from all around the world.